Be prepared to see more of these. East Clevelanders, get your wallets out, or slow down. In an effort to put a dent in rising debts, East Cleveland will install 15 traffic cameras to catch speeding motorists and rake in fines. 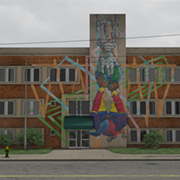 Specifically, be on the lookout for them on Euclid Avenue, where East Cleveland will helpfully install a camera every three-quarters of a mile, making Euclid even less convenient to drive on, which didn't seem possible. 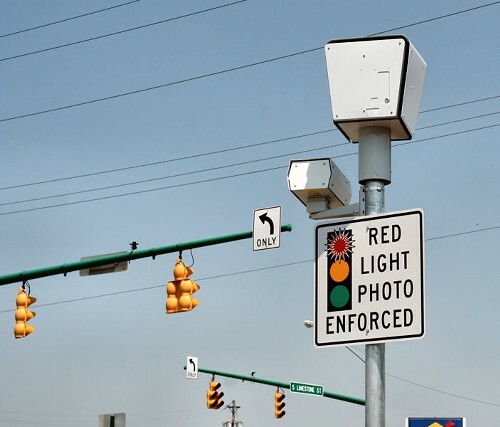 Fines will run $95 for running a red light or speeding. 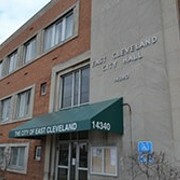 Money collected will settle a more than $1 million debt that East Cleveland owes to a contractor, American Traffic Solutions. The company said it will keep all fines until East Cleveland pays off the debt for tickets issued by the company's existing mobile speed-check cameras. 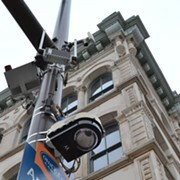 Some city council members say the number of traffic cameras is excessive.